I watch stand-up comedians on television and usually find myself wondering if they’re making a living from it (and some are millionaires from it.) I think “this is their hobby and through the day they’re working on a lathe or driving a truck.” I’m sure it’s me and I’m the problem. I find You’ve Been Framed! funnier. With so many comedians around it’s hard to believe that before the days of variety shows and musical halls they didn’t exist. One of Britain first ever comedians was Arthur Askey and he remained a big draw for six decades. I don’t know much about him but thought I’d visit the house where he was born in Dingle in Liverpool while I was visiting Ringo Starr’s birthplace nearby. Arthur was pushed out into the world in this terraced house in 1900, made by dad Sam and mum Betsy (later a sister would come long.) He was schooled in Liverpool but aged 16 was fed up working as an office clerk and began to learn a new trade as an entertainer around the local clubs. Success flamed brightly and he was soon an all-rounder in the grand tradition of the British music hall. Even the First World War didn’t stop him and he began performing at army shows while doing his National Service tenure. With the war over he spent 14 years perfecting his skills on the concert party circuit. He was 38 - getting on a bit - when he bagged a part in a daily BBC radio show Band Waggon. This was the first ever comedy series to be broadcast in Britain daily and it made Arthur a household name. The Second World War interrupted his career but this durable 5’2” pocket Venus soon bounced back and remained very popular. There were television series and fifteen films but he was mainly the special guest star on shows or topping the bill at the London Palladium. Folk liked the genial, breezy, big-hearted chap with horn-rimmed glasses, quick-fire humour, catch phrases and a masterly use of the ad-lib. During the 1950s and 60s he appeared in many sitcoms and was the subject of This Is Your Life twice. Through the 1970s he was a regular on television, notably as a panellist on the ITV talent show New Faces, Jokers Wild and The Good Old Days. He continued working into his eighties but circulatory problems in his legs brought the end of his career and his life. His legs became gangrenous and were amputated. He soon died in St Thomas’s Hospital in London aged 82. He’d been married to Elizabeth for 49 years until her death and they had a daughter Anthea who was an actress. He was awarded the OBE in 1969 and the CBE in 1981. 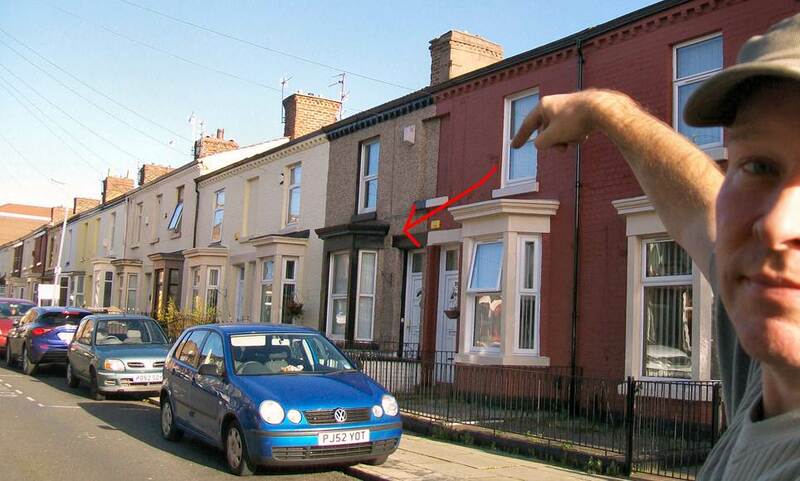 It all started here at the terraced house in a threadbare part of Liverpool. Bearing in mind Arthur’s long career in entertainment I was surprised to see there wasn’t a plaque on number 29.